Welcome to my homepage of personal profile in the university website. You can explore some experience that I have acquired through my life. I will request the viewers to see the other sections of my profile also. I am Sm. 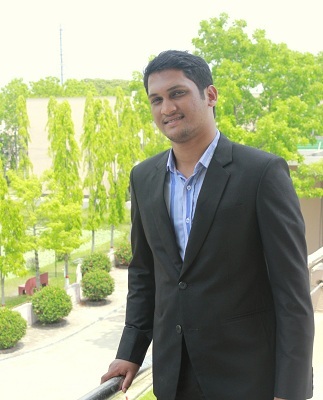 Arifur Rahman, functioning as a Lecturer in the department of Building Engineering and Construction Management at Khulna University of Engineering & Technology (KUET) from April 5, 2015. This department takes huge challenges to build such career in Bangladesh. Building engineers will serve design, construction, supervision, maintenance, safety, repair and reconstruction of buildings. This is a very new department in Bangladesh and the graduates will have great opportunities for their career in the real state finance, construction management and design of different buildings. I was bestowed B.Sc. in Civil Engineering from Khulna University of Engineering & Technology (KUET) in November 5, 2014 with major Structural Engineering. I am having 14 technical publications of which three papers are published in international journals and the rest are published in international conferences. KUET is a land of gaining and developing massive research idea and applications. My research interests include fracture mechanics, Finite Element Modeling in ANSYS and ABAQUS, Analysis of concrete behavior by electric measurements and Crack behavior of soil by MATLAB image processing. Programming Languages : FORTRAN, C, C++ and MATLAB. Finite Element Software: ABAQUS and ANSYS. Software Applications : Auto CAD, 3D Studio MAX, STAAD Pro, Adobe Photoshop. ETABS, GPS Mapping, Arc GIS, Bentlay AUTOPIPE, Bentlay MAXROAD, PLAXIS 2D& Pile Intereity Test (PIT). Undergraduate thesis based research work. Content: Stress, Strain, Mechanical Properties of Material, Thermal Strain, Strain due to Tension & Compression, Strain Energy, Shear Center and Riveted and Welded Joints. Content: Introduction to Mechanics, Free Body Diagrams, Resultants, Co-planer forces, Concurrent Forces, Non-coplanar forces, Plane Motion, Trusses, Shear force and Bending Moment in Beams and Rectilinear Motion. Content: Stair, Lintels & Arches, Floors, Formworks, Plastering and Pointing and Painting and Color Washing.